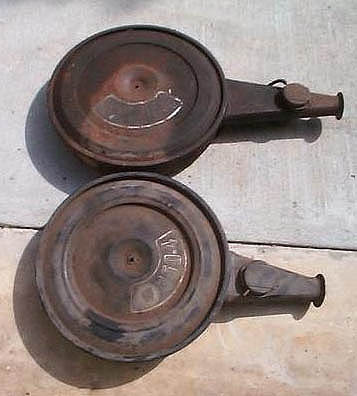 Here are two stock Buick air cleaners (non-GS). 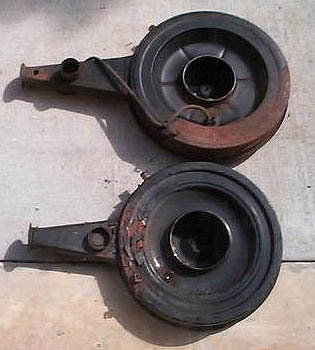 The lower one is for a 350-4bbl car and the upper one is for a 455-4bbl car. Notice the length of the 455 air snorkel is approximately 11" long and the 350 version is 8" long. Also, notice the placement of the hot air intake.....it is very close to the air filter housing for the 350 and further away on the 455 version. Both air cleaners use the same air filter element.